This isn’t the wrong way to Tipperary as First Data is bringing 150 jobs to Ireland with the opening of a new R&D centre. It will be based in in Nenagh, County Tipperary, and will open its doors in March 2018. The US payments firm aims to hire 150 fintech staff from around the world in a variety of technical roles over the next 12 months. These include software engineers, big data engineers, data scientists and product experts. The Nenagh R&D Centre’s core areas of focus will include data insights (the Perimeter project) – i.e. 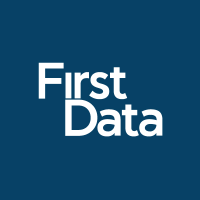 applying machine learning and artificial intelligence (AI) to First Data’s data lake to develop new methods to identify and fight fraud. In addition, the centre will look at intelligent infrastructure (the Jupiter project). This will develop an integrated automation platform for compliance and data concerns. It will also focus on international commerce services (the Horizon project). This examines payment technologies through interfaces, funds processing, and settlement.